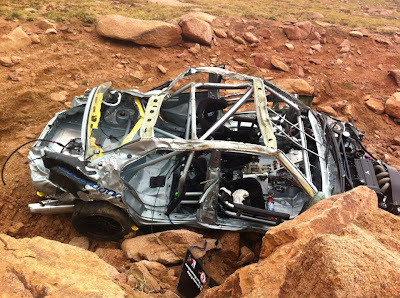 Looking at the pictures of what's left from the Evo that fell off the cliff at Pikes Peak's Devil's Playground, it is absolutely amazing that the driver and co-pilot did not sustain any life-threatening injuries. 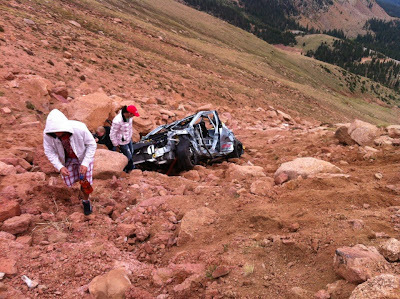 Not even a broken bone! 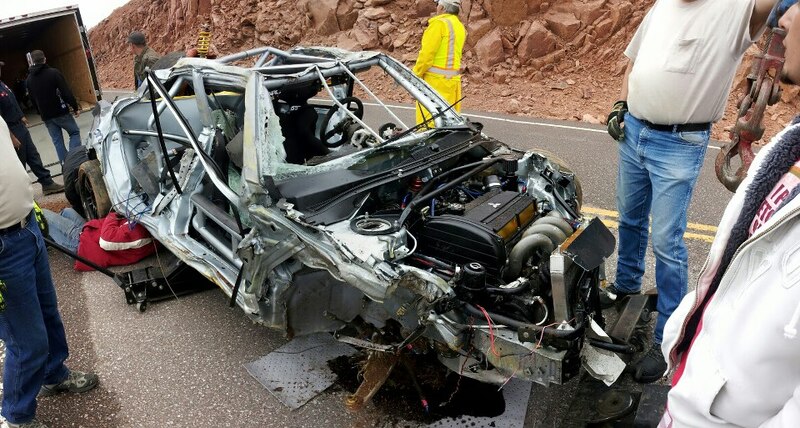 The shop that built this roll cage should be put in charge of all road cars' safety development! Good thing the Evo got wedged between these rocks or it would have kept rolling down for a looong time!